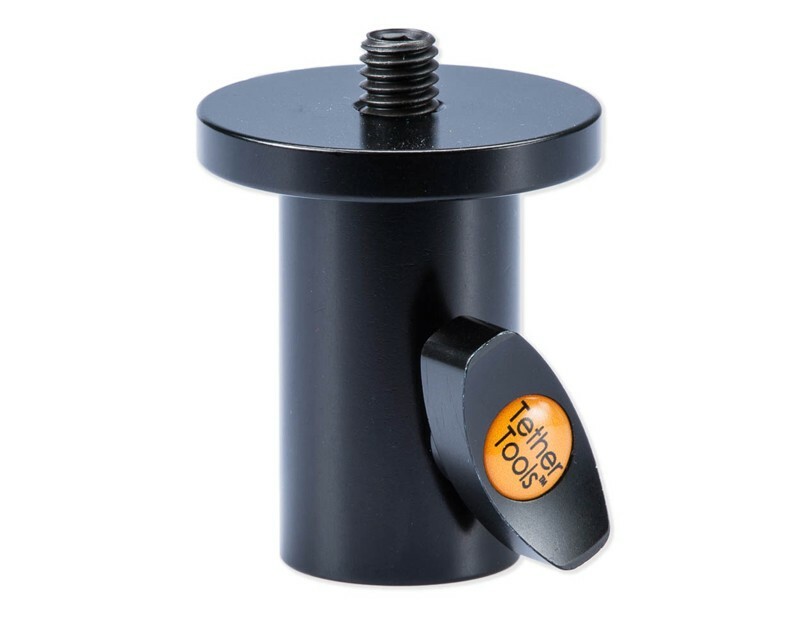 The Rock Solid Baby Ballhead Adapter allows the mounting of any ball head or gear with a threaded 3/8″-16 tap to any Baby 5/8″ (16mm) stud or Junior 1-1/8″ receiver to hardware such as light stands, arms or clamps with studs. The adapter is all aluminum and features a large ergonomic handle. The Rock Solid Baby Ballhead Adapter allows the mounting of any ball head or gear with a female 3/8″-16 to any Baby 5/8″ (16mm) or Junior 1-1/8″ hardware such as light stands, arms or clamps with studs. The adapter is all aluminum and features a large ergonomic handle. Ideal use includes mounting a tripod ball head on a Master Clamp or secure a Crossbar to a light or C Stand instead of a tripod. *Listing is for the Rock Solid Baby Ballhead Adapter only. All other items pictured sold separately.